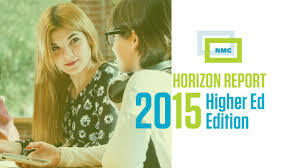 Intriguing educational-technology challenges ranging from “solvable” to “wicked” remain on the horizon for trainer-teacher-learners, the recently-released New Media Consortium (NMC) Horizon Report > 2015 Higher Education Edition reminds us. Although focusing on learning in formal higher education settings, the report’s summary of six “significant challenges impeding technology adoption in higher education” covers a set of challenges trainer-teacher-learners in a variety of learning environments would do well to consider—and attempt to address. In the short term (a one- to –two-year horizon featuring challenges “that we understand and know how to solve”), there are the challenges of blending formal and informal learning and improving digital literacy. In the category of “difficult” challenges—those “that we understand but for which solutions are elusive”—we find personalized learning and teaching complex thinking. And in that wonderfully knotty area of “wicked” challenges—those which become more difficult the more we attempt to resolve them—are the efforts to address competing models of education (massive open online courses—MOOCs; competency-based degree programs; and other alternative models of learning) as well as the need to find effective ways to reward teaching. Report co-authors Samantha Adams Becker, Alex Freeman, and Victoria Estrada begin with the solvable challenges by noting that “there is an increasing interest in the kinds of self-directed, curiosity-based learning that has long been common in museums, science centers, and personal learning networks.…Many workplaces already encourage informal learning methods for professional development…” (p. 22). They help us better appreciate the roles social media and other resources are playing in helping us blend formal and informal learning, expose us to innovations including the Cork City Lifelong Learning Festival that “promotes and celebrates learning of all kinds, across all ages, interests and abilities, from pre-school to post-retirement” on an annual basis, and discuss numerous “informal professional development opportunities,” including NMC’s Academy; among the resources explored are the European Union’s Lisbon Recognition Convention—in essence promoting recognition of learning achievements across learning organizations—and the “Formalising Informal Learning” article written by Rory McGreal, Dianne Conrad, Angela Murphy, Gabi Witthouse, and Wayne Mackintosh and published in the Open Praxis distance- and e-learning journal in 2014. If we care to go beyond what is already copiously documented in the report, we might further explore efforts to support the blending of formal and informal learning by looking at proposals for a lifelong-learning database (item #6 in NMC’s 2014 Wikithon list of new topics in educational technology) and Stephen Downes’ efforts through the National Research Council of Canada to create and promote learning and performance support systems. Remaining in the realm of solvable challenges, we join the report co-authors in a brief survey of efforts to improve digital literacy. They begin by noting that “[l]ack of consensus on what comprises digital literacy is impeding many colleges and universities from formulating adequate policies and programs that address these challenges”—a failing that is equally prevalent in many other learning environments, including workplace learning and performance (staff training)—and point out that “[c]urrent definitions of literacy only account for the gaining of new knowledge, skills, and attitudes, but do not include the deeper components of intention, reflection, and generativity” (p. 24). But they don’t just leave us at that juncture where need and confusion intersect; they take us to “20 Things Educators Need to Know About Digital Literacy Skills” (from Innovation Excellence) and the “Jisc Developing Digital Literacies Infokit” as points for departure for addressing the challenge. The Public Library Association division of the American Library Association offers links to additional digital literacy resources for those interested in going beyond what the 2015 Higher Education Edition offers. Moving through the final three challenges (teaching complex thinking, working with competing models of education, and finding ways to effectively reward teaching), we find ourselves in areas interwoven with other topics covered in the report. We can’t, for example, explore competing models of education/learning without thinking about how we try to transform the formal-and-informal conversation from an either-or proposition into an and-and proposition. When we seek ways to effectively reward teaching, we find ourselves struggling to even define what “exemplary teaching” is: lecturing, facilitating learning in ways that encourage learner-centric approaches, guiding learners to a level of proficiency that allows them to pass competency-based tests, or a combination of these and additional learning goals and objectives we are still struggling to define within our various learning sandboxes? 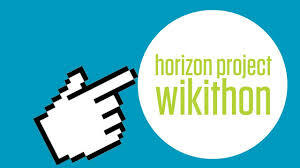 One of the many strengths of the Horizon Project reports is that they help us focus on these challenges and, in the process of fostering that level of attention, encourage us to actively participate in the creation of effective, creative responses to these and other challenges to which curious, dedicated, innovative trainer-teacher-learners are drawn. This entry was posted on Thursday, February 19th, 2015 at 6:00 pm and is filed under technology, training. You can follow any responses to this entry through the RSS 2.0 feed. You can leave a response, or trackback from your own site.